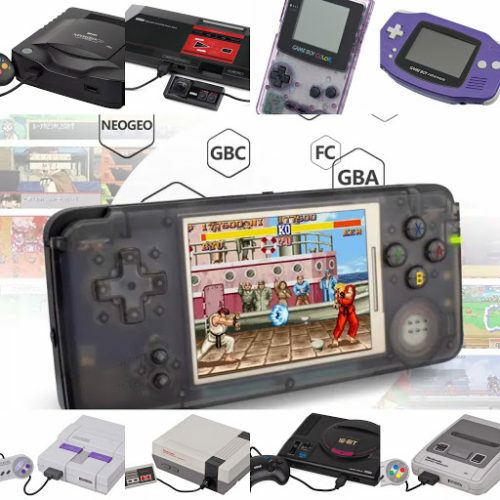 The Cartridge Console can emulate more than a dozen gaming systems, including Atari 2600, Atari 7800, Atari Lynx, NES, SNES, Sega Master System, Sega Genesis, Sega Game Gear, Arcade, Turbo Grafx 16, Gameboy, and Gameboy Color. Over 5,000 games pre-installed. Using an authentic 1980s-era NES cartridge, the Classic Console is perfect for any retro-gamer. 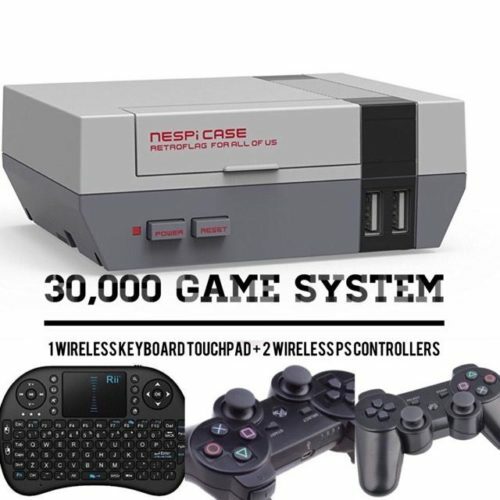 The Cartridge Console includes a retro-style console case, 6' HDMI cable, power adapter, and 2 SNES-style controllers. 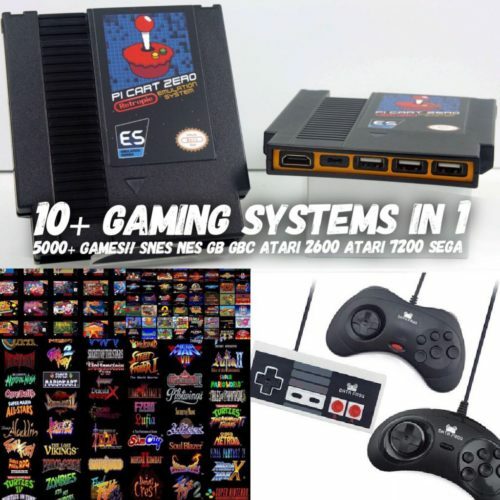 The 12K console can emulate more than 15 gaming systems, including Atari 2600, Atari 7800, Atari Lynx, Arcade, NES, SNES, Virtual Boy, Sega Master System, Sega Genesis, Sega Game Gear, N64, Turbo Grafx 16, Neo Geo, Neo Geo Pocket, Neo Geo Pocket Color, Gameboy, Gameboy Advance, and Gameboy Color. 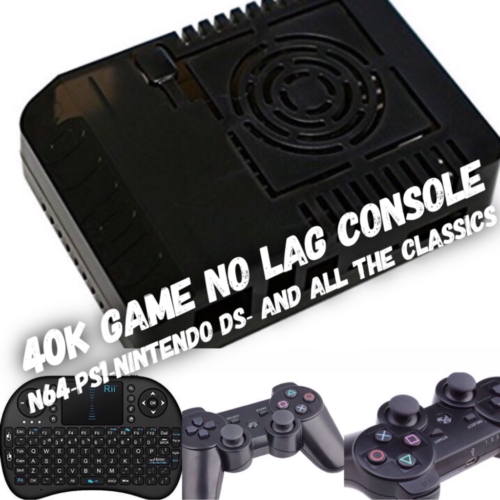 The N64 games do have some lag. 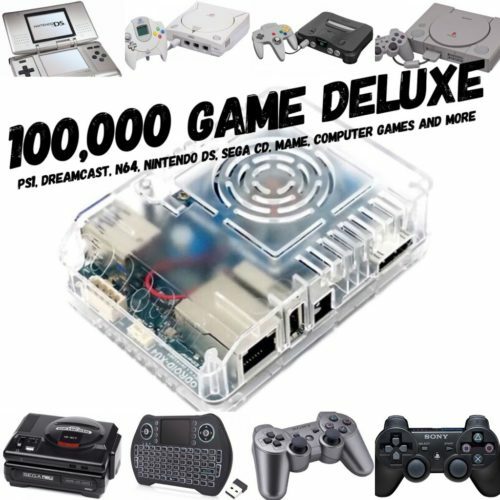 Over 12,000 games pre-installed. Measuring 4" x 3" it fits in the palm of your hand. 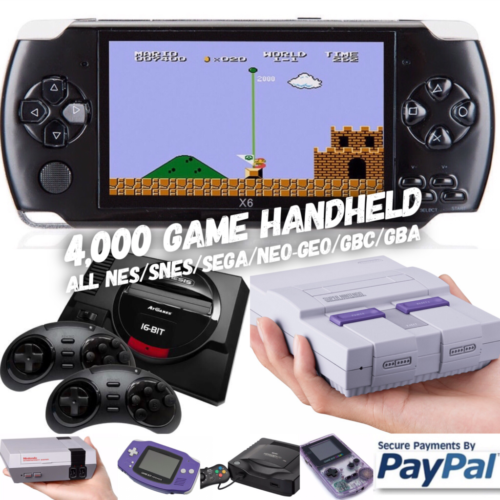 The 12K Console includes a 6' HDMI cable, power adapter, and 2 SNES-style controllers. Check out the pictures and let us know in the comments section which graphic you'd like. If no graphic is specified, a random one will be sent. 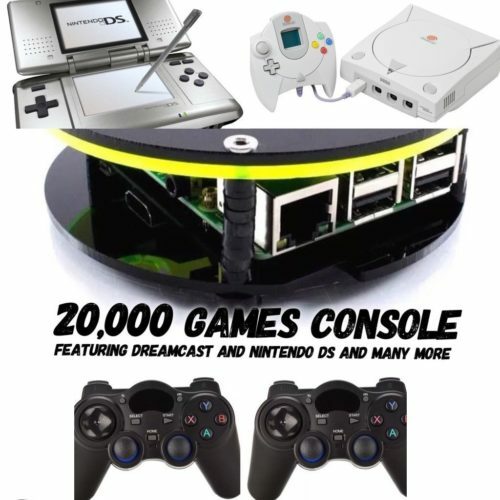 The 30K console is a truly amazing retro gaming system and can emulate more than 20 gaming systems, including Amiga, Amistrad, Vectrex, Wonderswan, Intellivision, C64, Game and Watch, ColecoVision, VideoPac, Sinclair ZX Spectrum, Atari 2600, Atari 7800, Atari Lynx, Arcade, NES, SNES, Virtual Boy, Sega Master System, Sega Genesis, Sega Game Gear,Turbo Grafx 16, Neo Geo, Neo Geo Pocket, Neo Geo Pocket Color, Gameboy, Gameboy Advance, Gameboy Color, and more! Over 30,000 games pre-installed. All of our system have save states so you never have to start over! 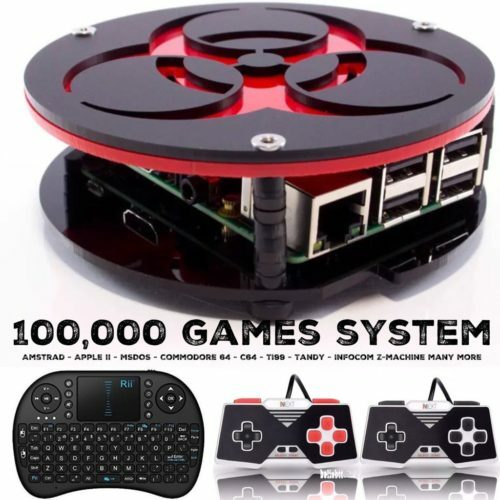 The 30K Console includes a 6′ HDMI cable, power adapter, mini wireless keyboard, and 2 wireless controllers. 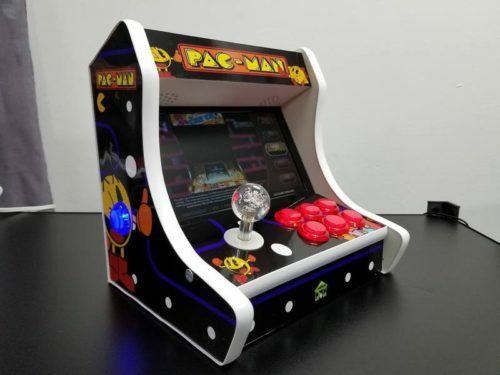 The Arcade Console is every retro arcade gamer's dream. 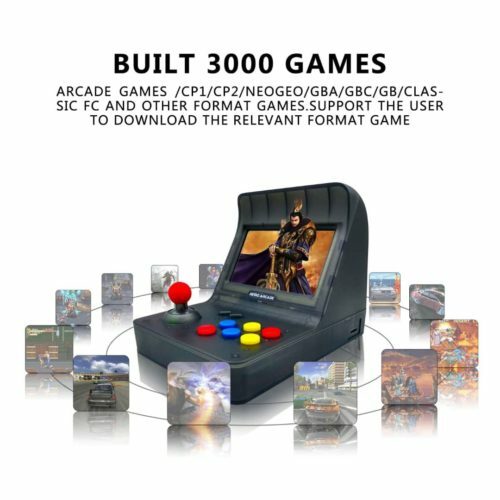 Packed with 3900 arcade games from the 80s, 90s, and 2000s as well as 100 games from Neo Geo. 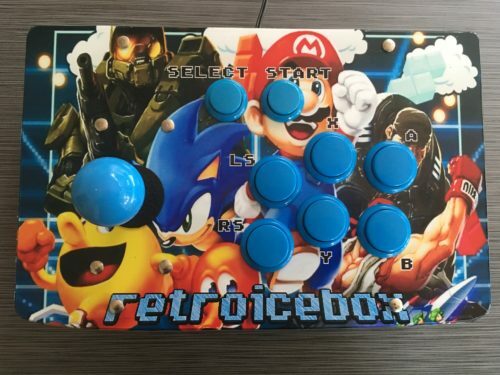 Everything is built into the controller, a full-sized arcade joystick with 8 buttons. 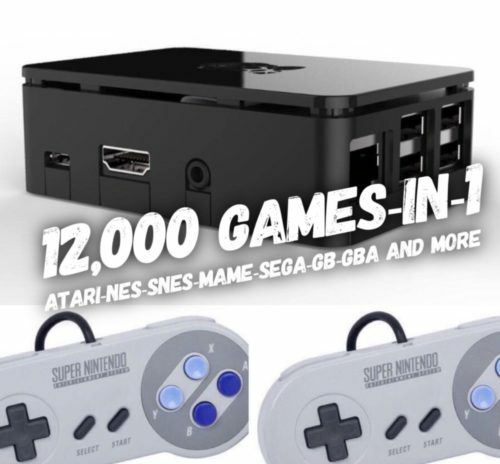 The Arcade Console includes a 6' HDMI cable. Just plug and play! Measurements: 11.25" x 7.25" x 2.00"